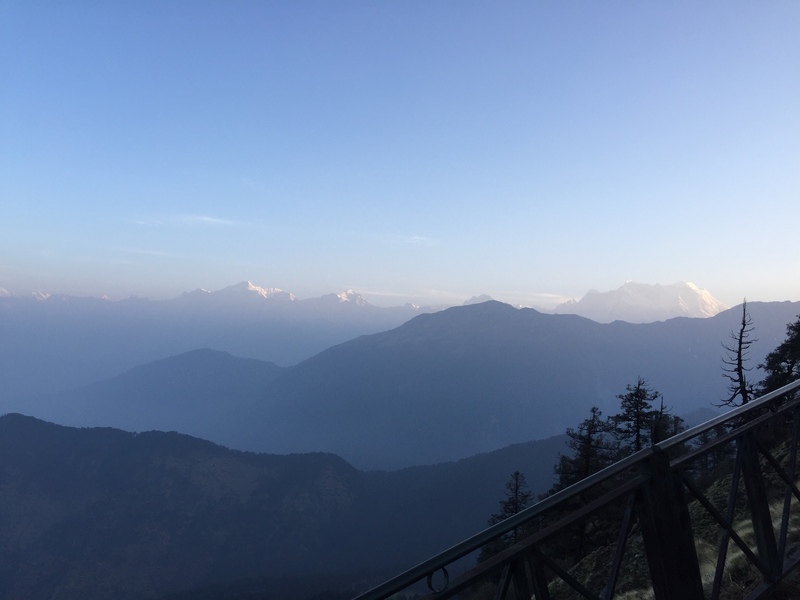 Tungnath, a wonderful place to put down on your list of places to go to. A steep 3.5km uphill trek (ponies and horses available on hire) to climb 1000m – an exhausting 1 in 3 gradient. At the summit is probably one of the highest Shiva temples in the world. Check the wiki link out for legend behind the temple (https://en.wikipedia.org/wiki/Tungnath). For me this is a great birding spot and has been very productive over the 2 trips I have made there in the last 12 months. The climb up to the top is quite a daunting one and not for the faint-hearted. Both the times I have been there, I used a pony to climb up mid-way and then huffed and puffed the rest of the way. Here is a short time-lapse iPhone video of the climb from atop a pony. One usually starts the climb quite early around 5am (early morning is the best time to bird in this area) and in darkness and as the sun rises one is presented with spectacular views with different hues of blue. 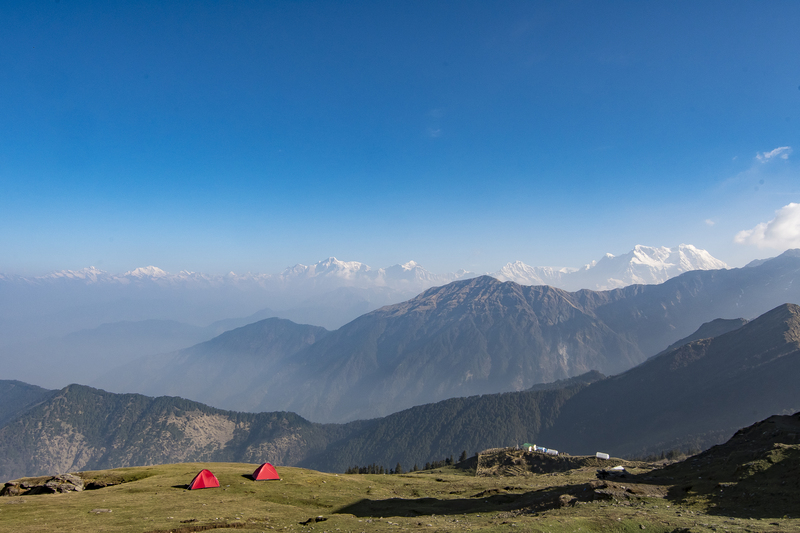 This is a shot from the top of Tungnath and on the right of the frame is a range that I think is called Chaukhambha. Behind me is the Chandrashila peak – I reckon that I will muster up the energy to climb that one of these days. The list of lifers from here now stands at 14 – #429 Yellow-billed Blue-Magpie, #430 Hodgson’s Treecreeper, #431 Stripe-throated Yuhina, #432 Variegated Laughingthrush, #433 Black-throated Thrush, #434 Himalayan Accentor, #493 Dark-breasted Rosefinch, #494 Alpine Accentor, #495 White-browed Fulvetta, #496 Blyth’s Leaf Warbler, #497 Himalayan Bluetail, #498 Rosy Pipit, #499 Rufous-gorgeted Flycatcher and #500 Bar-throated Siva. Thats quite a rich haul for a fairly small area.